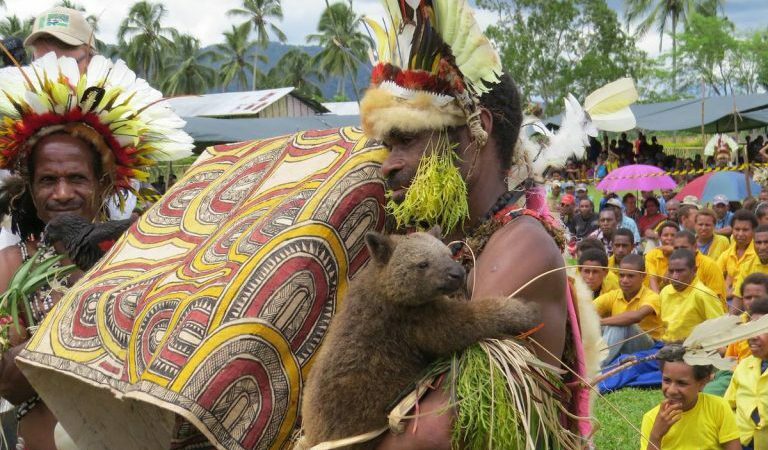 Papua New Guinea has been granted its largest-ever conservation area, a 1,390-square mile protected area of rainforest, nearly 900,000 acres. 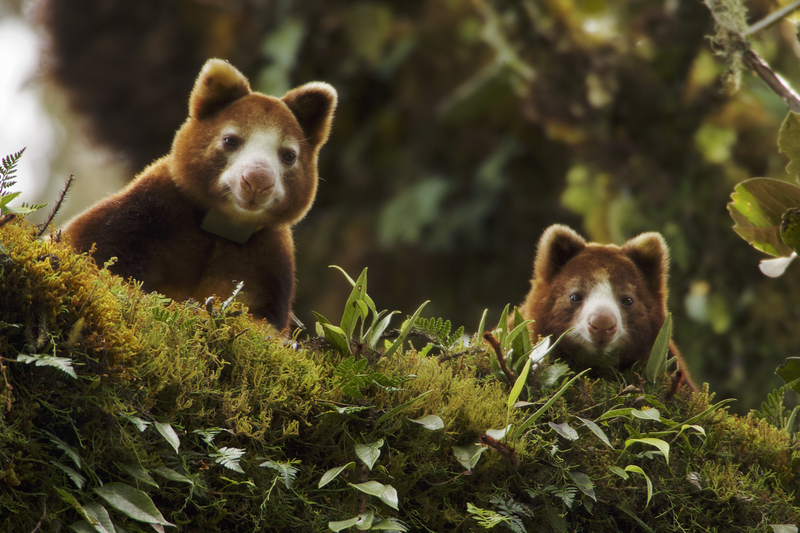 The newly formed Managalas Conservation Area is home to the endangered Matschie’s tree kangaroo and cassowary among thousands of other species. Papua New Guinea has been granted its largest-ever conservation area, a 3,600-square kilometer (1,390-square mile) protected area of rainforest in the country’s southeast that stretches from near the ocean up into the mountains. 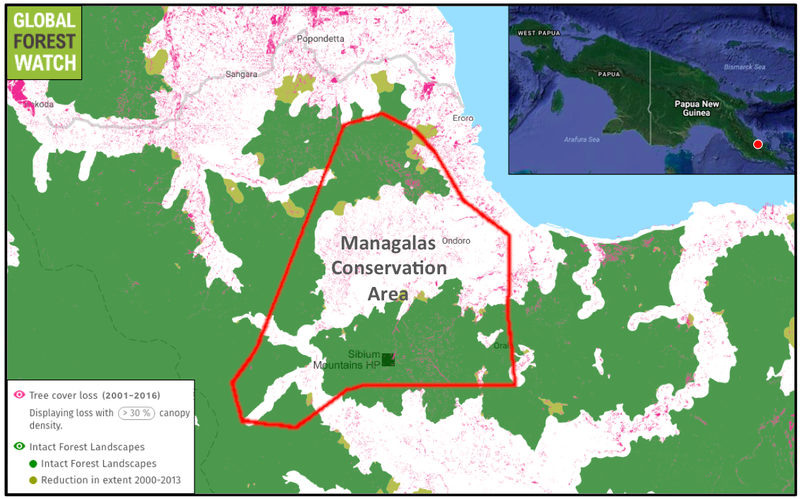 Called Managalas Conservation Area, the move is being celebrated by conservation organizations and local communities that have been working for 32 years to establish more protections for the region. Managalas Conservation Area was officially declared on November 29 by Minister for Environment and Climate John Pundari and Northern Governor Gary Juffa at Itokama village. “Without environment, and without you and I, we will never enjoy the blessings of life,” said Pundari, as reported by PNG’s Post-Courier. “If we lose [the environment], we lose ourselves and that is also a global message.” Local communities held a party following the announcement to celebrate the declaration, the culmination of their decades of work towards protection of their forests. Minister for Environment and Climate John Pundari and Beate Gabrielsen from the Norwegian Embassy at the declaration ceremony. The region, called the Managalas Plateau, still has expansive tracts of primary forest. But it has been increasingly eyed by extractive industries like logging and mining, according to Rainforest Foundation Norway (RFN), which is supporting conservation activities in the region. Industrial agriculture is also a big threat, with several areas of the plateau suitable for oil palm plantations. Huon Tree Kangaroo (Dendrolagus matschiei) female and joey peer over branch. Endangered species from the Huon Peninsula, Papua New Guinea.